Firstly, happy new year you all . 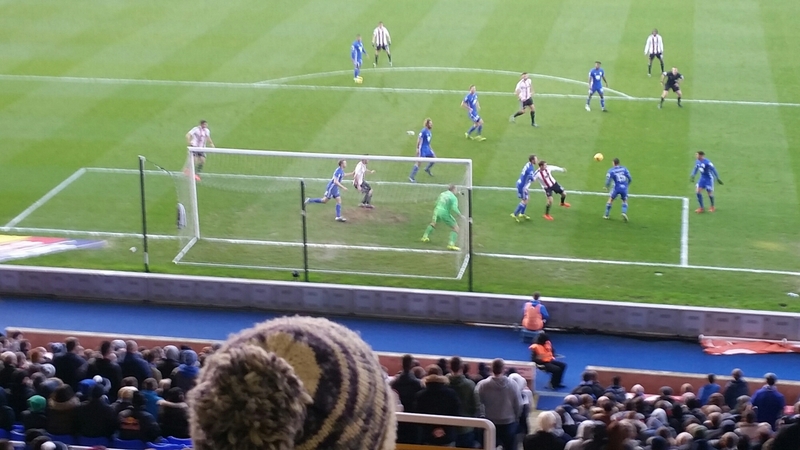 My first game of the year saw me at St Andrews for this Championship clash. My plan had been to go to Coventry Copsewood but at the last moment as I was leaving work , a colleague gave me his season ticket which was very generous. 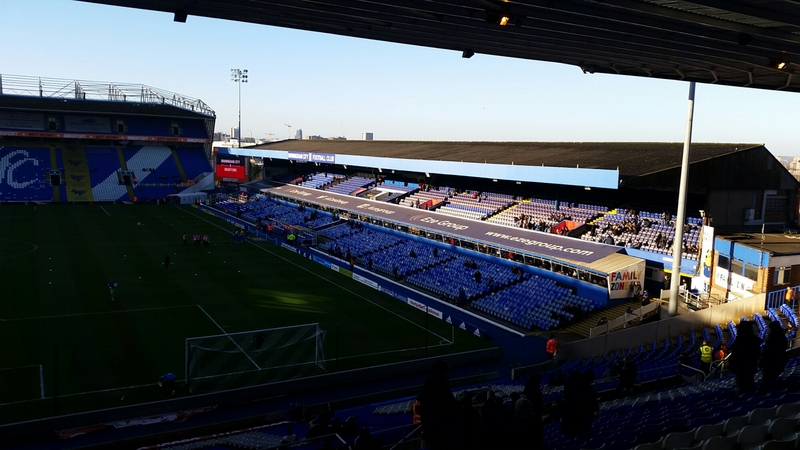 I sat in the Tilton End and got in the ground an hour early, watching the winter sunshine bounce of the buildings as the ground filled up. 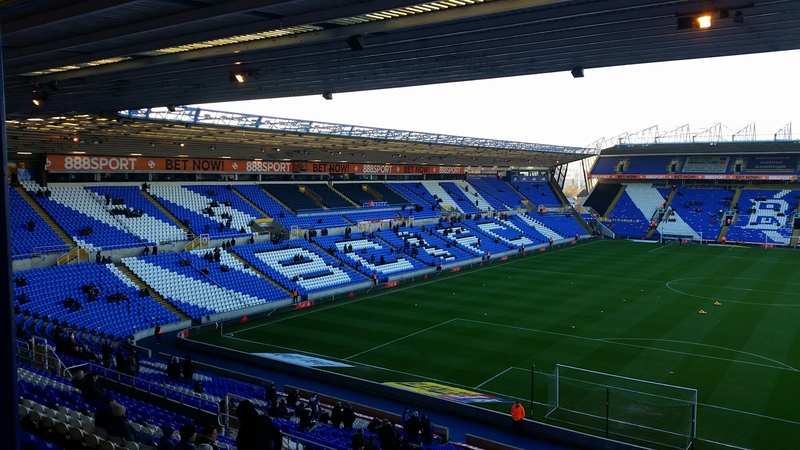 Eleventh placed Blues were taking in 15th Brentford as Zola looked for his first win. Blues looked the better side early on and took the lead through Lukas Jutkiewicz in the 23rd minute bouncing a shot over the diving keeper taking a deflection off him. Brentford rarely threatened in the first half. The only player who stood out all in the first half was Ryan Shotton who got a few blocks in. 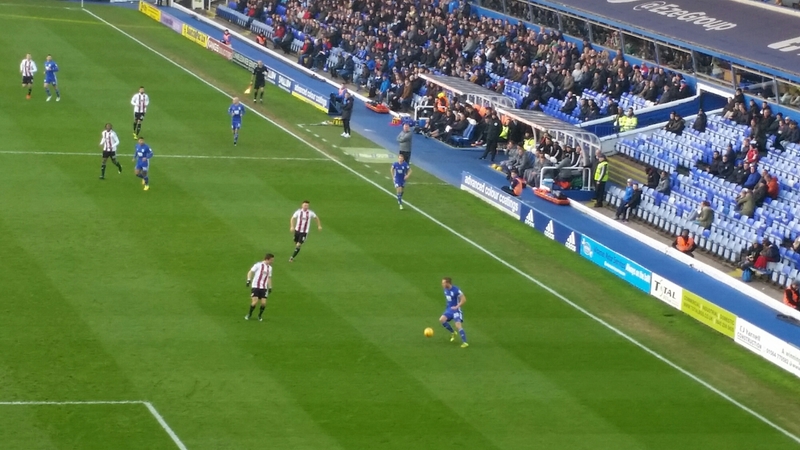 In the second half it all fell apart for Blues as Brentford equalized, after a first effort was blocked Scott Hogan as he shot into the far net.Moments later . Brentford had a penalty awarded, Hogan stepped up but Kusczak got down to stop it. In the 7th minute, Brentford finally took the lead through a David Davis own goal, who somehow got down to head the ball into his own net. The final goal came in the 8th minute from substitute Nicky Yennaris who struck a fierce ball from outside the area that easily beat Kusczak. So basicly, in my own opinion. This is probably the worst I have ever seen a Blues team, they created nothing. There goal was lucky after that there was nothing. Brentford were not great at all, but did what they had to . Zola has a lot of work to do, but I still have no idea why they got rid of Rowett.